Jyväskylä (134 658 inhabitants) and its immediate surroundings form one of Finland’s largest centres of growth. Jyväskylä is the seventh largest city in Finland. The city is renowned for the high standard of its educational provision and technological expertise. Jyväskylä is the city of the world famous architect Alvar Aalto. He lived and attended school in Jyväskylä. The City of Jyväskylä has some thirty buildings designed by him, more than any other city in the world. 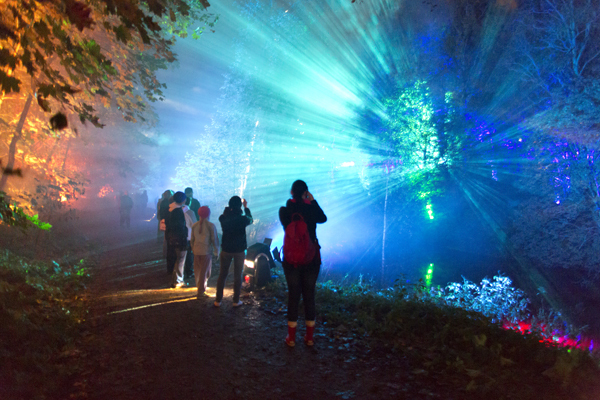 Jyväskylä is the City of Light and Finland’s leading innovator in the field of urban lighting. The city won the first prize in the 2009 LUCI / PHILIPS city.people.light competition. 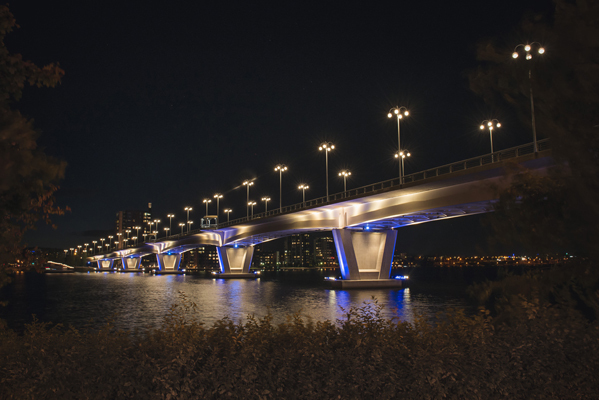 Lighting installations help to keep the city safe and comfortable during the darkest period of the year. 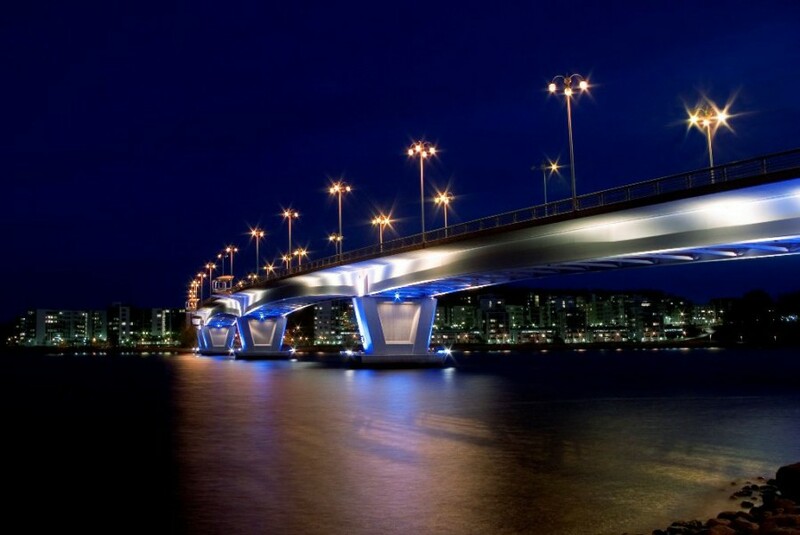 The whole urban lighting system is owned by the city and it is administered by the Traffic and Green Areas Department within the Urban Planning and City Infrastructure Sector. The City is divided into three maintenance areas and is maintained by three different companies. 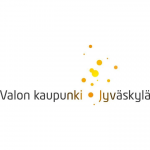 The companies get maintenance requests straight from the public via electronic feedback system (https://s-asiointi.jkl.fi/eFeedback/fi/Feedback/20-Ulkovalaistus), where you can define the problem and mark it on the map. Yearly the companies get about 1 000 requests altogether and these are to be fixed within a few days. Group lamp replacement is not in use at the moment, companies circle around to fix broken lamps twice a year. Companies are chosen via tendering for a time period of 6 years. Control system is provided by C2 SmartLight ltd. and the grid information system is administered by Jyväskylän Energia company. The master plan, finalised in 2000, was a big eye opener for the municipality. It was designed by lighting design company VALOA design and the steering group consisted of decision makers from city planning and city infrastructure departments, city real estate services, private property owners and city center developers. 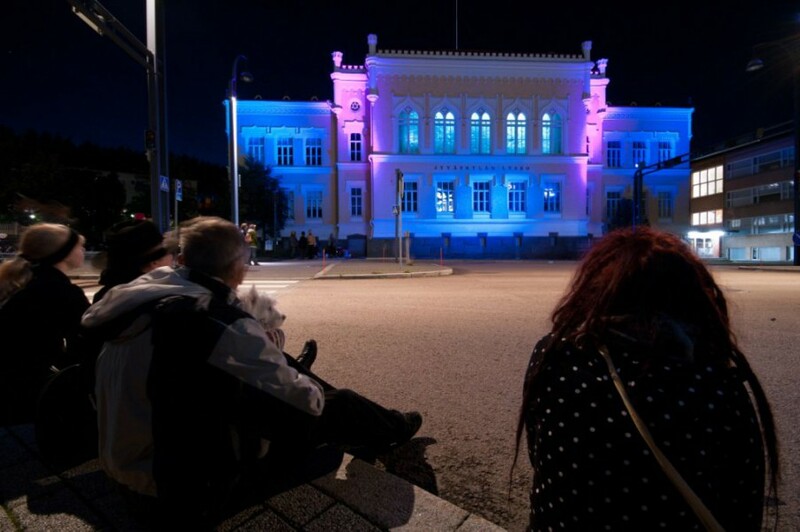 The main finding was that in Jyväskylä there was no night-time architecture. The target from that point on was to create a city with comfortable and attractive yet energy efficient lighting. This master plan worked as an important tool for decision making: which sites are to be illuminated and what are the financial impacts of this development project to the city’s economy. After the master plan the city implemented a few illuminations to show an example of good lighting. This example has been actively followed by other property owners as the City of Light project nowadays promotes more than 80 light installations, of which only half is done by the city. 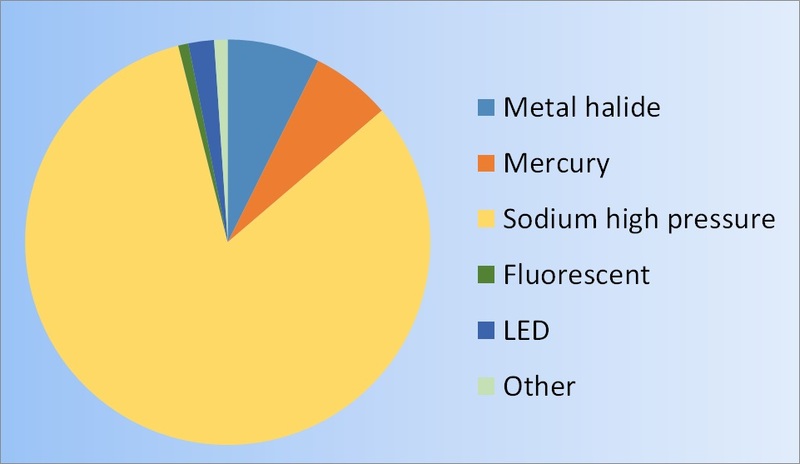 By 2014 half of Jyväskylä’s 30 000 lighting points will have been replaced with more energy efficient units, lighting control systems further improved, the electricity grid rationalised, and light pollution reduced by aiming light only at the point where it is needed. Energy savings of 40 % compared to benchmark year 2005 will have been achieved and almost a million euro annually will be left in the public purse. As a result of energy savings emissions of CO2 will fall by 1 665 tonnes, which in terms of environmental impacts corresponds to the planting of 5 300 trees. Total cost 5 million €. Energy subsidy from the Ministry of Employment and Economy (25-30%). Pay-back time 5 years (calculatory). Pioneer financing model: Project financed with leasing contracts and later on with savings. No need for large fundings. Phase 4 is about to begin in autumn 2014. The aim of the project was to update the pole lighting of the most known landmark of City of Jyväskylä. This was done with the latest led‐techniques without compromises on light quality, light level or appearance. 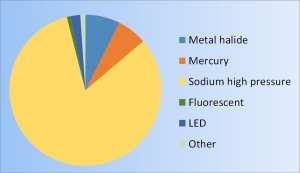 Replacing 200 pcs of old spheres using 100W SON lamp into new luminaires created 76 % saving in energy consumption. Sphere has now a warm 28 W LED light module inside and the light is aimed more accurately on the deck of the bridge. Payback time for the installation is 11 years. Lighting is fully integrated in the urban planning of the Äijälänranta area. A lot of emphasis was put on the pedestrian area illumination and lighting of art, street furniture and infrastructure like bridges and substations. The area hosts the annual housing fair in Finland in summer 2014. 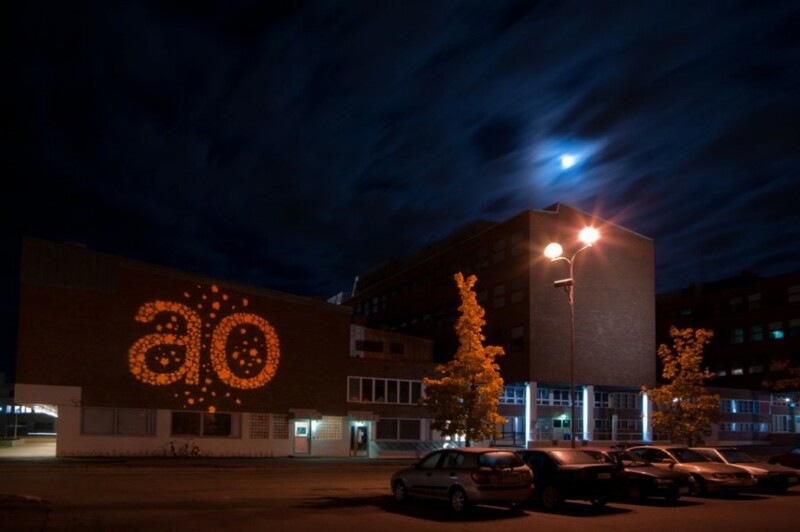 Äijälänranta is the first housing area in Jyväskylä to be illuminated totally with led-technique. The non-glary, energy-efficient street luminaire is 83W iGuzzini WOW (90 pcs), which is programmed to be dimmed according to the time of day (rush hour, normal situation, night time). Lights are dimmed from 5-80 % of full power. Wooden pole is designed by Tehomet Valmont. 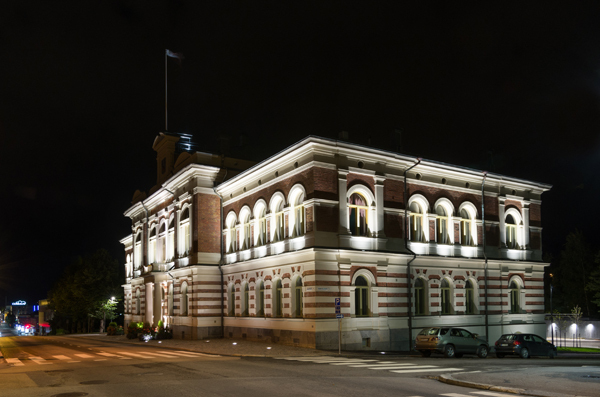 The luminaire-based control system is by local C2 Smartlight Ltd.
Jyväskylä continues to work on making the urban lighting system free from mercury lamps and as energy efficient as possible. Pro-Environment Outdoor Lighting Project’s phase 4 is about to begin in autumn 2014. This phase includes yet another 2500 luminaires to be updated. This time there are more special cases to deal with like sports arenas, parks with special but outdated illuminations and special street luminaires. 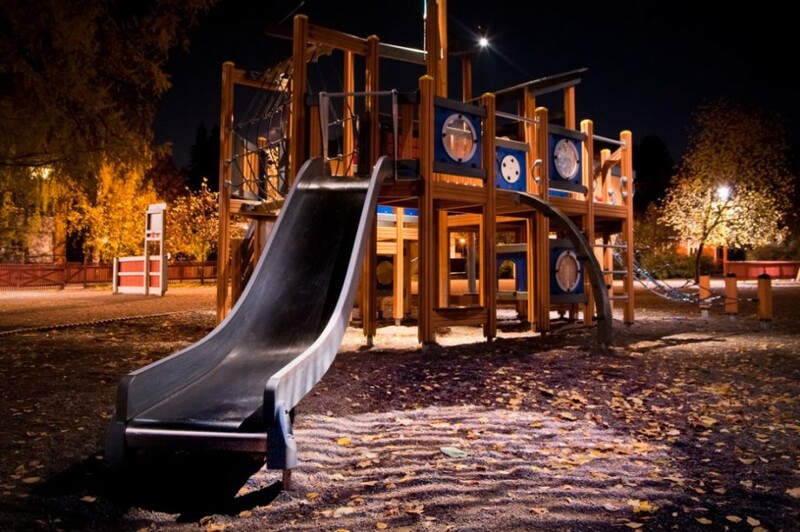 The city also continues to provide lighting design consultation to property developers by lighting coordinator so that all the public outdoor lighting in Jyväskylä would be as good as possible. The City of Jyväskylä hosted a City under Microscope in 2012.